The Economics Department at the University of Sussex is delighted to offer an annual Masters scholarship for suitably qualified candidates from selected sub-Saharan African countries on either the Development Economics MSc or Economics MSc. About the Award: The focus on selected African countries is motivated by a dearth in existing funding opportunities for well qualified African students. Our Masters programmes in both economics and development economics also benefit from having students from African backgrounds who bring important personal experiences from developing countries that can be shared with other students from more developed countries. You must have been offered and accepted a place on either the Development Economics MSc or Economics MSc to start in September 2017. Value of Scholarship: The scholarship includes the full payment of the overseas tuition fee and a maintenance grant of £10,000 but does not include travel expenses to and from the United Kingdom. How to Apply: In order to be considered for this Scholarship, you must have been offered and accepted a place on either the Development Economics MSc or Economics MSc to start in September 2017. 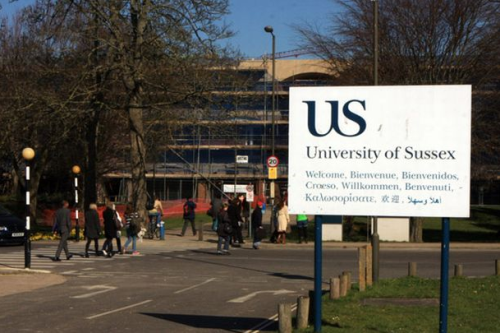 You must indicate in the finance section of your application to study at the University of Sussex that you wish to be considered for this scholarship. No separate scholarship application is required. Now that all the information about University of Sussex Postgraduate Economics Scholarship for African Students has been delivered nicely; talented students who are eager to pursue their Free Tuition/Scholarships/Study in United Kingdom (UK) can apply now.